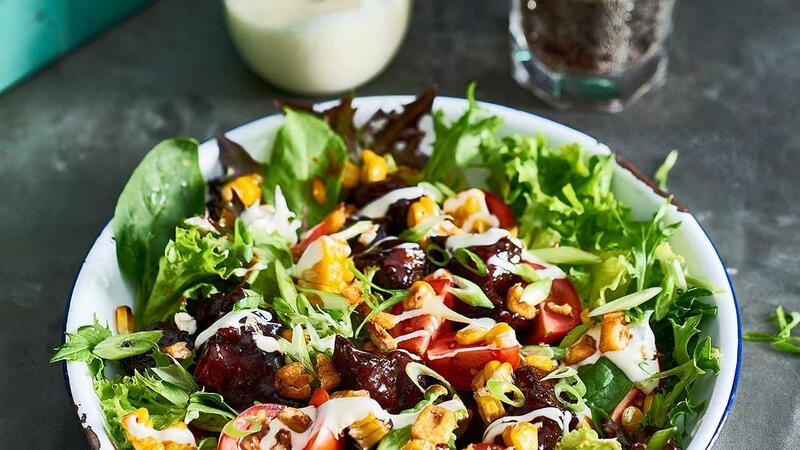 Why not give Caesar salad a run for its money with delicious sticky BBQ beef, all tossed in some fresh greens and corn? Put it in bold letters on your menu like the salad boss you are! Assemble all ingredients and serve with HELLMANN'S Ranch Dressing.